The United States has suffered a complete economic collapse. Now a group of friends and neighbors must fight to survive as the delicate fabric that holds society together begins to unravel. 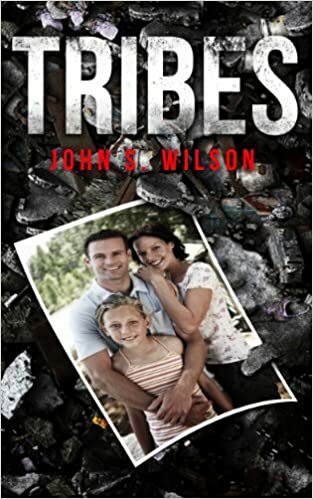 Tribes is the prequel to John S. WilsonвЂ™s best-selling novels Joshua and Traveler. This third installment features an all new group of characters but is set in that same terrifying universe. Excerpt - July became August as they watched the world crumble before their eyes. The radio, their last link to the outside, quickly became satire as the bad news constantly played between the canned government announcements declaring that everything would be fine. From their houses on the hillside they could track the demise as the fires from the riots came closer every night. The distant shouts of the mobs and the scream of sirens became the soundtrack of their lives. вЂњItвЂ™ll be okay baby, itвЂ™ll be okay.вЂќ Denise bent down and examined her friend briefly before she stood up with tears in her eyes. She didnвЂ™t say a word, she didnвЂ™t have to, Tom knew their neighbor was dead. Tom approached this couple he had known for three years now. He didnвЂ™t want to look but knew he had to. Tony was still holding his wife. She appeared to be sleeping except for a small bullet hole in her forehead, just above her left eyebrow, a thin rivulet of blood dripped down into her eye.